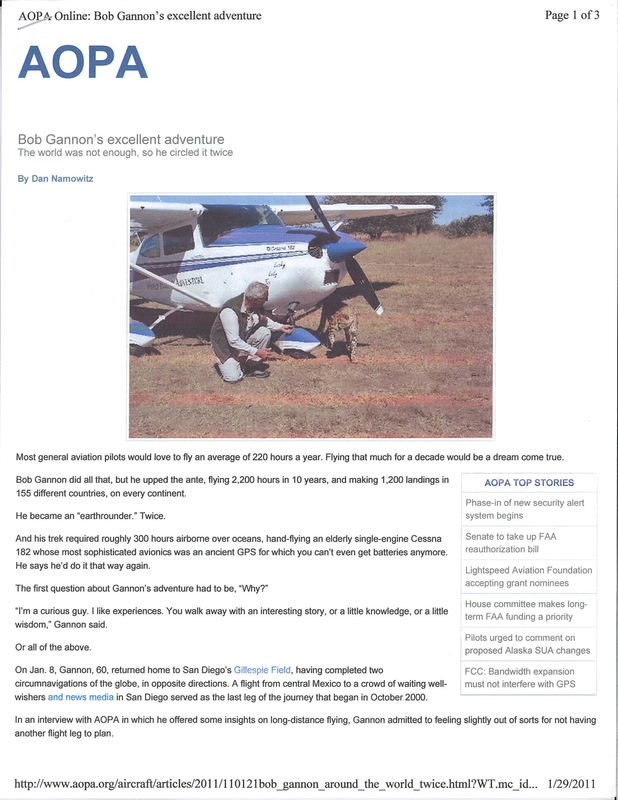 Robert Gannon's 10 year journey in a Cessna 182. Hi. My name is Robert (Bob) Gannon. Welcome to my website detailing my world flying adventure. I am not a commercial pilot, just a general aviation pilot who flies for fun and adventure. In 1992 I wanted to do an adventure. Not able to acquire sea legs I took up flying. Within 3 months of my first lesson I had an instrument rating and had bought a 1974 Cherokee 6 I named Lucky Lady. Two days after passing my instrument check ride I took off from San Diego, California headed east to attempt to fly to Paris, France to attend a Harvard Business Class reunion. 70 airports and 20 countries later I crashed in Kenya. Route and Log 1st Attempt chronicles that adventure. For 8 years I talked about finishing that around the world trip. In 2000 I purchased a 1968 Cessna 182 that I named Lucky Lady Too out of respect for the first gal I wrecked. This time I headed west. Route and Log 2nd attempt chronicles that adventure up to the present date. Hopefully, this site will aid other pilots and adventurers alike with places to go and things to do. And possibly it will encourage you to get at your own adventure. Life is a short flight. If you can do it, do it now! From Vietnam Dustoff to crashing the first Lucky Lady in Kenya. The world journey actually began in 1992 after Bob sold his construction company. He decided that before getting back to work, a “good adventure” was in order. One of 14 siblings who grew up on a farm in Iowa, Bob had sailed halfway around the world with one of his six brothers. “But I always got terribly sea sick,” he said. 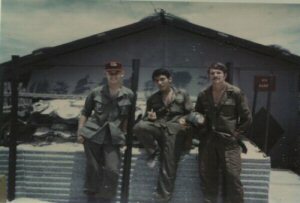 Bob was a medic on an Army medivac helicopter in Vietnam, he had always enjoyed flying . “I didn’t like getting shot at,” so “I figured if I could learn to fly, I could create an interesting adventure.” This prompted Bob to start planning for a big adventure. The first aircraft Bob purchased was a Piper Cherokee 6 named “Lucky Lady,” he departed San Diego for a Harvard Business Class reunion in Paris, France, with 145 hours in his logbook. From Paris he began his epic journey, but it ended just four months later when he crashed in Nairobi, Kenya, totaling Lucky Lady. Lucky Lady Too is a 1968 Cessna 182L, a Skylane model, powered by a Continental O-470-R engine that produces 230-hp at 2600 rpm at sea level. She has an STC for autogas and has flown as much as 12-½ hours over the ocean on autogas! To get out of Timbuktu, Mali, Africa, Bob had a camel pull a cart with a 55-gallon drum of car gas to fuel up. 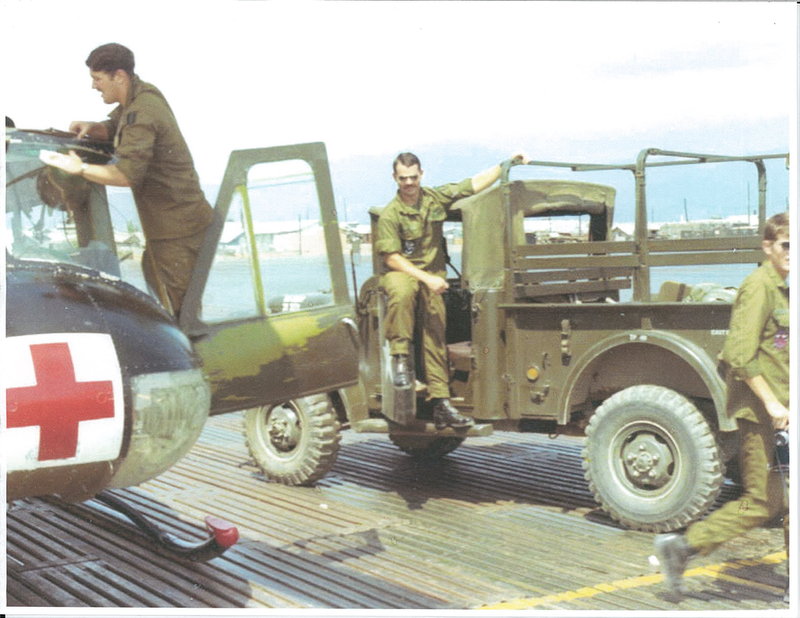 Two five-gallon plastic jerry cans were kept just behind the front seats and also two self-priming siphon hoses to transfer fuel from the barrel to the cans, then lift them to the wing and again siphon them into the tanks. Bob filtered fuel through a chamois cloth and carried a Mr. Funnel that aids in separating possible water in the fuel. In place of the two rear seats, a ferry tank with a capacity of 125 gallons was strapped down. On top of this tank was a high-frequency Kenwood HF ham radio to make position reports once out over the ocean and beyond land-based radio communication. The tuner for the HF radio is in her tail and the antenna is attached from her right wing to her tail and back to her fuselage. Between her two front seats, bolted to the floor, is a hand pump to pump the fuel from the cabin tank to the fuel line underneath the floor, below the pilot’s seat. About 300 strokes on the hand pump would allow me to transfer an hour’s worth of fuel up into the left wing where the fuel would then gravity flow into the engine. His 182 has a no-name STOL kit and, while in Australia, Gannon installed vortex generators given to him by Micro AeroDynamics. News videos and various web articles on the journey. Two clips from local news channels of the journey. Some of the different news and web articles that featured the journey. For most of the legs the articles from local newspapers and organisations are attached, however this page contains general articles or articles from worldwide organisations. FOR SINGLE PAGE DOCUMENTS, SELECT TO ENLARGE. FOR MULTIPLE PAGE DOCUMENTS, SELECT TO TURN PAGE. A big thanks to the people that made this all possible!